A CGI Light Saber Video thank-you! They actually did a CGI Light Saber effect! On one level, I hope that the OLL staff didn’t spend any money on that, that it was just a stock effect in some video program that they were already playing with, or a free online tool, or whatever. But – light sabers! Yay!! Harry, my main character, is probably a bit miffed in that he doesn’t get to play with CGI light sabers, just the moderately pricey glowing model sabers. Happy Star Wars day, everybody! How many years have you been doing Script Frenzy? This is actually my first year doing Script Frenzy, I entered last year but couldn’t make it because of school work, but now that I graduated I have all the time in the world. I first heard of Script Frenzy when I was doing NaNoWriMo in 2010. I was looking at what else OLL did besides NaNO and found Script Frenzy. What’s your favorite thing about the script that you’re writing this year? My script is about a magic bond and trust. My favorite thing that I love to write about right now is the HighLands, which is where the elves are. HighLands is the most magical place there is in my story. I love to write about the Elves. What’s the hardest thing about participating in Script Frenzy? There isn’t anything that I find hard really, it’s much easier then NaNoWriMo, but what I find really sad is that there is no one in my region that is doing the challenge so I’m writing alone. Why should my blog followers join the Frenzy next year? I went to a workshop once and they say that a script version of your novel is a great outline, because you have a description of the world or characters, you know who is talking and you can get the character’s voice. You can have the action and see them act. It’s much easier to write in script form then novel form and you can use it as an outline later! That’s what I’m doing. Thanks, Steph, and congratulations on your successes this April! First six. Second six. Third six. Still in the initial scene, and still all in dialog. Note that Brent is the character dressed up as C-3PO. Here’s wishing all of you a good week full of writing joy! And at least 100 pages to all my fellow Script Frenziers! This is actually my first year doing Script Frenzy. I did National Novel Writing Month in November, and was 5,000 words from finishing, with two days off of work at the end of the month, when a personal emergency came up. 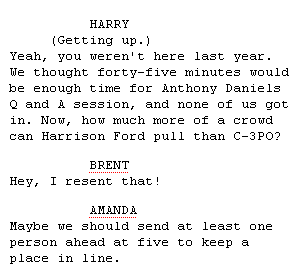 Frustrated that I didn’t finish, I decided to do Script Frenzy to prove I could make the deadline. Through Nano. I learned of it during the middle of March, and thought I would go ahead with it. The Muses. The play I’m writing involves a young girl who’s caught in between two men- one she loves but doesn’t want her, and another that wants her but she doesn’t love. So to spice up an otherwise boring and cliché piece, I have two Muses who overlook the stage and comment on everything the girl does. But they’re sarcastic and cynical Muses, so their dialogue is fun to write. I’ve never written a script before! I’ve always been a prose writer, and occasionally poetry, but I’ve never tried to tackle a script before. The extent of my stage experience was making programs for my high school drama club. Dialogue is my weakest area though, so in some ways this is great practice for me to learn how to better develop my dialogue. Good luck with your muses, Yumesandman! 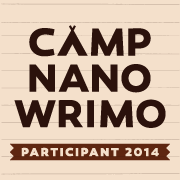 This is actually my first year of Script Frenzy, I’ve tried NaNoWriMo before but never succeeded (so far). I’ve had the idea for this script for about a year and it’s been kept on the back burner by other projects and my day job. Script Frenzy was an ideal opportunity to dust it off and get some words down. Like other formats, Script Frenzy has a special forum for Webvideo and Webcomic scripts. I tracked down four of the Frenzies posting about their Web projects and asked them each a few questions. Justangel24 is working on episodes of a web video soap opera called Vicious Lust. “It’s about the complicated relationships between 6 people and how lust winds up being viscious, dangerous and even deadly for them. I made this idea to be a closed ended web series so it’s kind of like a spanish telenovela format but made for the web. “As of today, April 25th, I’m up to page 80. I know I am writing this for Script Frenzy so there’s going to be some stuff that I am going to change or that isn’t going to be logical to myself so I am considering that for when I start the drafting process after Frenzy ends. So far, however, I am sastisfied with how the story is developing. Some ‘Young Writers Program’ Script Frenziers made their own trailer for the event, which is pretty cool! Lindsay does a little demonstration of script formatting in action! The script equivalent for the video is here. 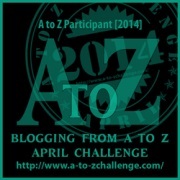 Well, in this last week of the A-Z challenge, I’m going to be spotlighting some Script Frenzy writers and their projects. Yes, this was my clever strategy to find topics for the letters of the alphabet that I couldn’t think of anything else to cover. Feel free to swoon with envy. This is only my second year doing Script Frenzy. I’ve been wanting to write a script for forever, and last year I decided to do it. Television is one of the most popular script formats for Frenzy participants, even though you need to write more than one episode of a television show to get to the 100 page goal. (Or a mini-series.) And so TV scripts get a forum all their own on the discussion board. Asking about the BBC drama format of listing day numbers and times for scenes, and how to handle flashbacks. Talking about page counts and act breaks. Mourning the deaths of major characters. Debating the merits of working with an old plot bunny or starting from scratch. Anime writers gathering together for mutual support. The love of writing comedy. Crime drama – should the criminal escape? Tips and tricks for writing a pilot episode. How to create your cast of characters. Help – my miniseries idea has exploded in my brain, and it’s not looking so ‘mini’ anymore! Have you ever wanted to write for television? What would you want the series to be?